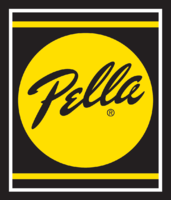 Founded in 1982 as a local family owned and operated business, Sela Gutter Connection is the Twin Cities' largest seamless gutter company. As residents of the Twin Cities, we are active in the community through our business and through civic and charitable involvement. Our reputation is based on past and present performance; we are respected because we live up to our promises. As a member of the Better Business Bureau, and the proud holder of the BBB's best overall rating, you can trust Sela Gutter Connection to help you protect the investment you've made in your home! At Sela Gutter Connection, we pride ourselves on our integrity. We provide 100% of the services included in the estimate, and we have installed millions and millions of feet of gutter. We have successfully completed over 10,000 projects, all to the complete satisfaction of our customers. We respect your property and strive not to harm roofs, siding or landscaping. We treat "yours" as if it were "ours!" The guys did a fantastic job! They even worked through the rain. They were really efficient, and we are very happy with the work they did. We believe in honesty and dependability in all that we do. We will never try to sell you what you do not need, and we never compromise on the quality of our products. Our staff is well-groomed, well-trained, highly motivated, and polite. All installers are Sela employees, not subcontractors. Our equipment is kept neat and meets the highest safety standards in the industry. We are dedicated to providing reliable, valuable service on every job we undertake! In order to ensure your peace of mind, we offer a Lifetime Warranty on materials and labor for our gutter services for as long as you own your home. This is the best warranty in the Twin Cities!